Location and luxury in Alexandrias popular West End Stonegate community! 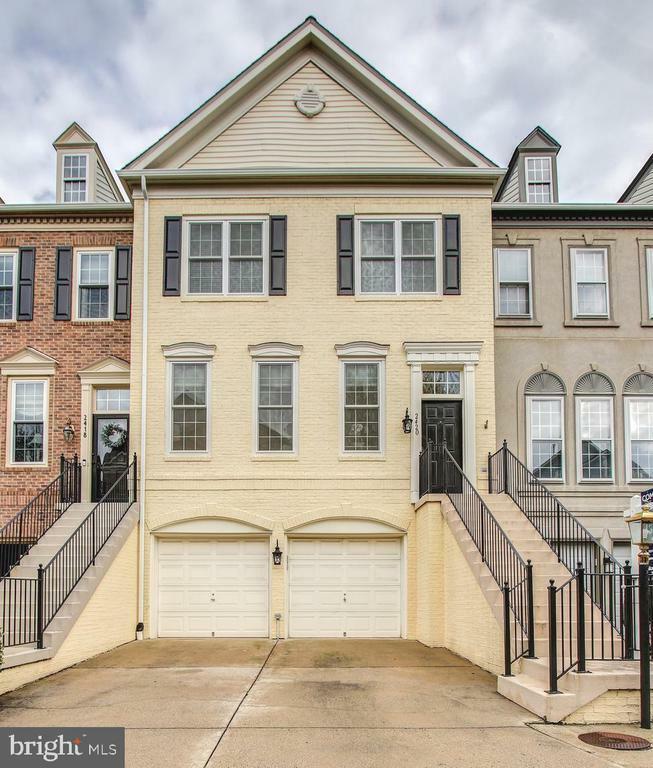 This super spacious and meticulously maintained and upgraded townhome offers an easy living floor plan that~s perfect for everyone. Among its many charms are crown and dentil moldings, chair rail, wainscoting, and 9~ ceilings as well as beautifully refinished hardwood floors throughout the main level. The main level also includes sunny living and dining rooms and an eat-in kitchen with abundant cherry cabinets, stainless appliances and granite counters. A family room adjoining the kitchen expands the space for perfect entertaining and relaxing and access to the outside deck makes grilling possible any time of the year. A newly upgraded powder room complete the main floor. Above the main level are two bedroom levels: Upper level 1 includes a huge master bedroom suite with tray ceiling that spans the entire front of this home. A key part of the master bedroom suite is the sumptuous master bath remodeled with cherry vanity, granite countertop, designer tile, extra-large shower and deep soaking tub. Bedroom 2 with an ensuite full bath and a laundry room complete this level. Upper level 2 includes bedroom 3, a full bath and huge walk in closet that makes this the perfect private getaway for guests. The lower level includes a recreation/family room and full bath with access to a lovely fenced back yard/brick patio for relaxing or entertaining.The roof and all front windows were replaced in 2016. A two car garage and two car driveway make parking easy. Chief among its popularity is Stonegate~s location just minutes from I-395, Washington, DC, Shirlington, the Pentagon, the Mark Center, Old Town Alexandria and Reagan National Airport. Commuting is easy via car or public transportation, including both Metrobus with express service to the Pantagon Metro and Alexandria~s DASH buses to various locations and Metro. Both Metrobus and DASH are just outside the entrance to the community and minutes away. In addition, the immediate area has easy access to shopping, restaurants, and recreation. Welcome home!